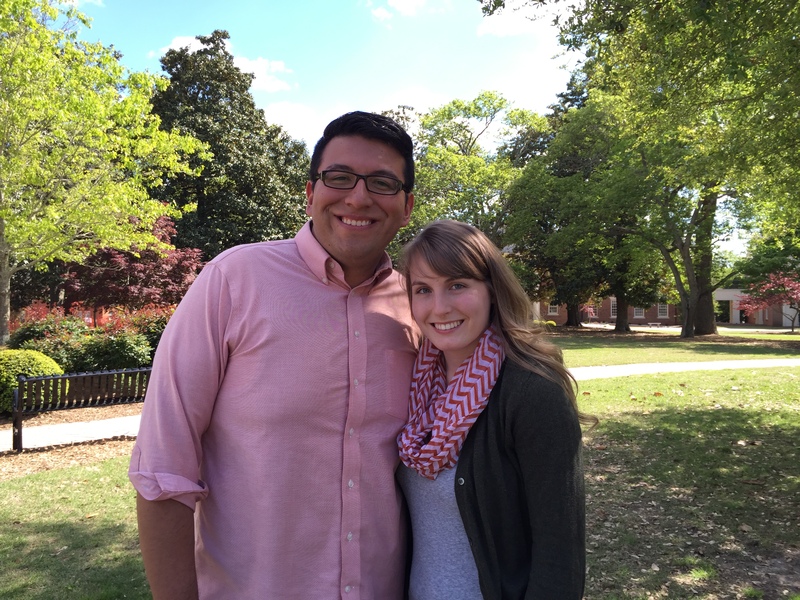 Chris & Hannah Castorena: Is Christ Worth Leaving Everything? Is Christ worth leaving everything? 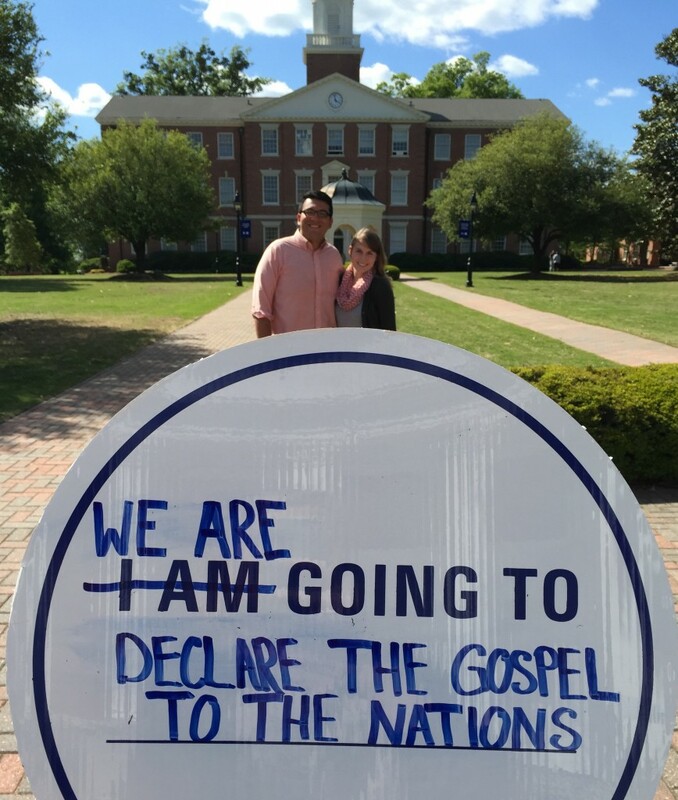 This is the question Chris and Hannah Castorena were asking themselves just over a year ago as they considered the implications of the Lord calling them to the nations. Having met in Baptist Student Ministry during their undergrad career, the Castorenas had developed a comfortable life for themselves in their home state of Texas. Chris was serving at a local church doing college ministry part time while also serving as an intern with their campus ministry. 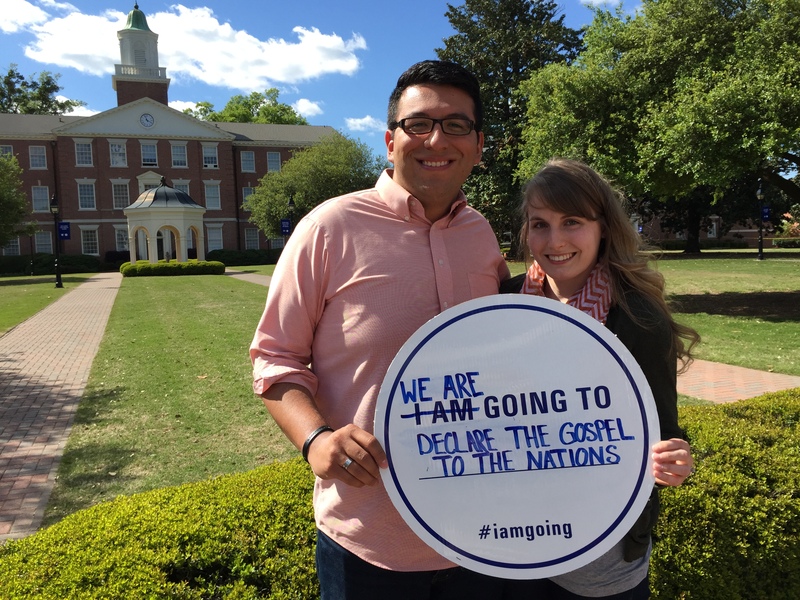 “God was really blessing our ministry there,” added Chris.But in December 2013, while attending the CROSS conference in Louisville, Kentucky with their students, Chris and Hannah’s hearts were turned to the international mission field in a way they couldn’t simply ignore. 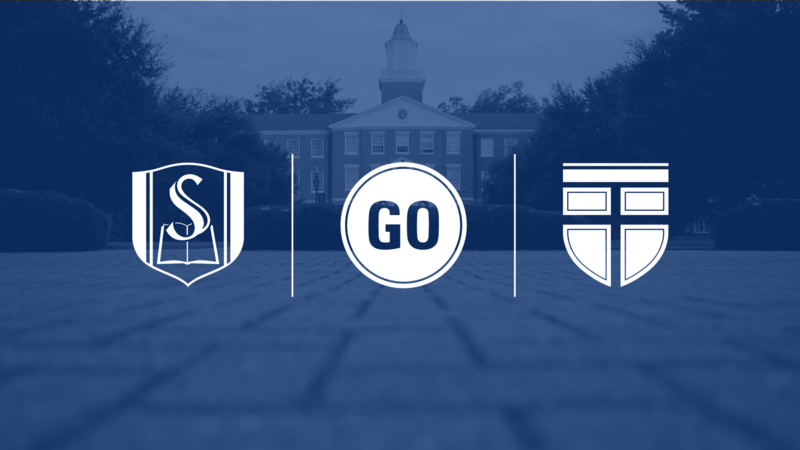 So before the conference was over, they stopped by the SEBTS booth and started considering the idea that theological preparation through Southeastern might be their next step in heeding that call. As they learned more about the school, and its heartbeat for the Great Commission, they both felt the Lord making it clear that Southeastern was where they could really thrive and be equipped.At the same time, the Castorenas were seeing great fruit in their current ministry and were really comfortable where they were near family and friends in Texas, making it harder to just pick up and leave. “We just had to ask ourselves: Is our love for Christ greater than our love for our family, this ministry, convenience and comforts?” shared Chris. As they prayed through that hard question, it became clear that God was calling them out of their comforts. So, after a 24 hour car ride from Texas, Chris and Hannah left the comforts and familiarity of home and started life here at Southeastern in the Fall of 2014. Chris is working on an Mdiv. in International Church Planting and Hannah is studying through the Biblical Women’s Institute in order to take the classes they’ll need to be equipped for life on the mission field. As Chris and Hannah shared about what the Lord has taught them during their few months here at Southeastern, the underlying theme of God’s faithfulness was apparent throughout it all. One such example of God’s faithfulness was surprisingly shown shortly after Uncle Sam unexpectedly demanded all but six dollars of their seminary savings, leaving the Castorenas shocked and frustrated initially. They went on, though, to share what a grace the eradicating of their savings account turned out to be in the end. “It was a way of God saying, ‘You’re not going to do this by your hand, your wisdom or your strength, but by me, so that I get the credit and the glory,’” described Chris. In addition to being a student at Southeastern, Chris also serves as one of the Ambassadors for the school. Since moving to Raleigh, the Castorenas have become members of Treasuring Christ Church and have also become actively involved in a ministry called SIT. Through SIT, the Castorenas are building relationships with international students who have come to study at NC State. Through this ministry, they use events that showcase American culture — ice skating, hiking, the North Carolina State Fair, etc — as opportunities to build relationships with these students and share the gospel with them. When we asked the Castorenas how we could pray for them, their first response was that “we would continue to treasure Christ above all things.” Sharing from 1 Timothy 6:6-10, they expressed their desire to truly seek after godliness with contentment, valuing Christ above all the riches this world claims to offer. As the next few months and years will include the IMB application process and discerning where in the world the Lord is calling them to go, they also asked for prayers that they would trust the Lord as he continues to lead them. They also asked specifically that they would simply continue to be reminded of his faithfulness and make the most of their time here at Southeastern. So take time right now to stop and pray for Chris and Hannah Castorena, and then ask yourself this question: Am I truly willing to leave all my comforts for the sake of Christ?